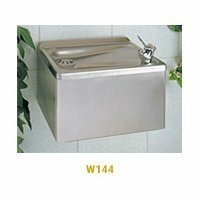 These drinking fountains are very compact producing a capacity of between 17L/hr to 22L/hr of cooled water, depending on conditions. 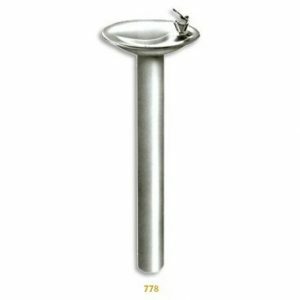 The limited size of the semi-circular basin means there is only room for either a bubbler or glass/cup filler. This model has stainless steel panels. Models EJ186 & SEJ187 have a standard 32mm waste trap. 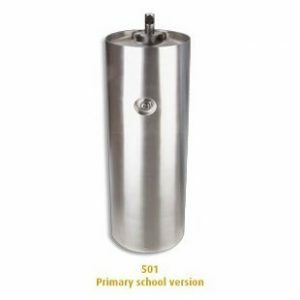 Models EJ188 & SEJ189 have been fitted with an overflow reservoir and have either a heavy duty cup/bottle filler [HD1 or HD2] or projector operated by a remote push button. The water will automatically cut out when the reservoir is partially filled and has to be emptied before water can flow again. This is a fail-safe system to prevent an overflow. 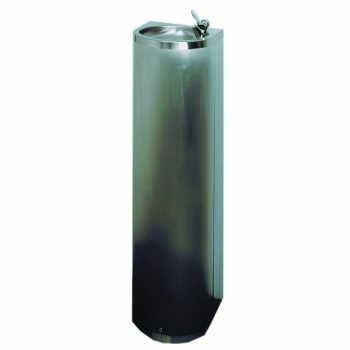 An optional carbon taste filter ER4 can be factory fitted inside the cabinet to improve the water taste and quality. If required a PIR assembly can be installed sothat the operation is totally hands-free.